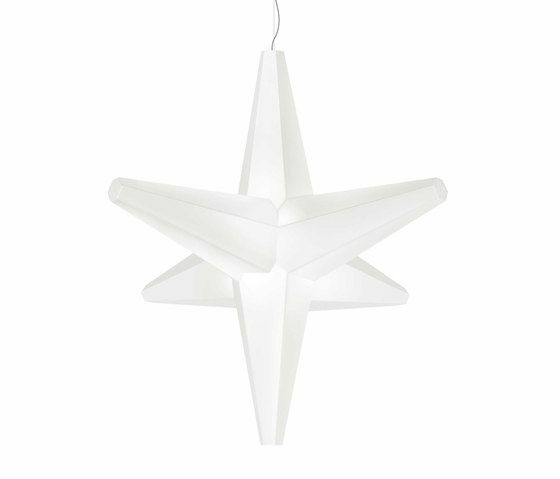 Designed by studio IK the Star object/suspension is available in various colours. Being manufactured from polyethylene the Star is robust and can used inside or outside from the ceiling or on the ground in as many ways you can imagine. Star light suspension lamp can be used for creating artificial heaven.